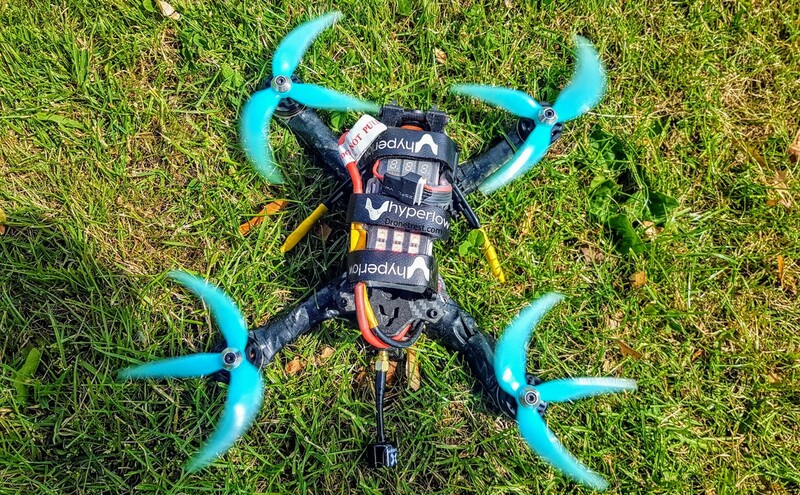 We all hate it when a lipo gets damaged in a crash, but other than mounting your battery inside your frame there is not much that can be done about this. 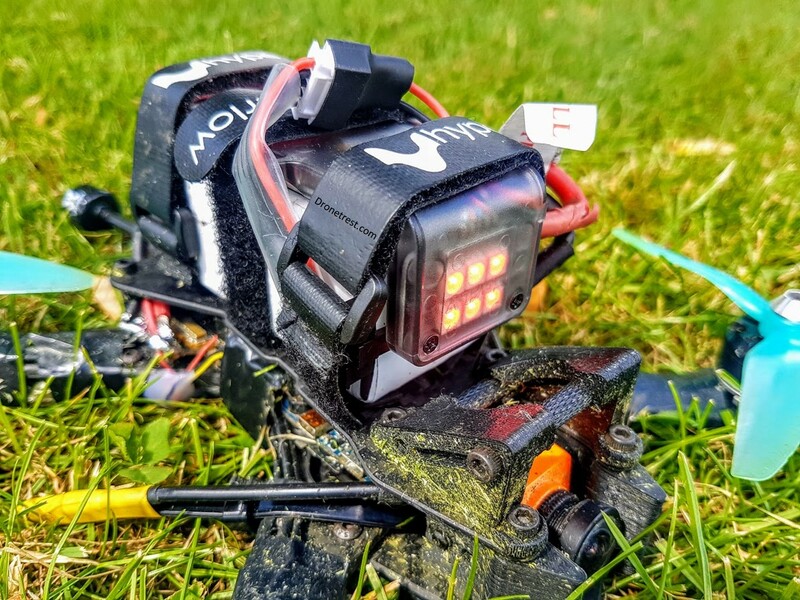 Well, Gofly has sent us their Multi-functional Battery Protection Board (MBPB) to have a look at. Is this the solution to your problems? Does add some protection to your battery from sharp objects, but it only protects two extra sides. 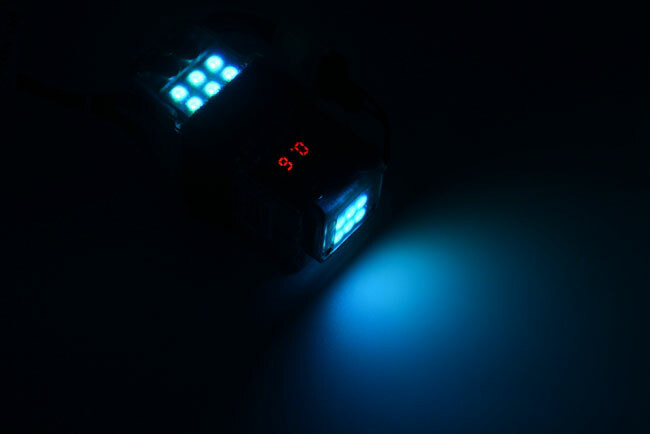 LED’s add some nice bling to your quadcopter, and you can easily change the colours via the button on the side of the battery protection board. 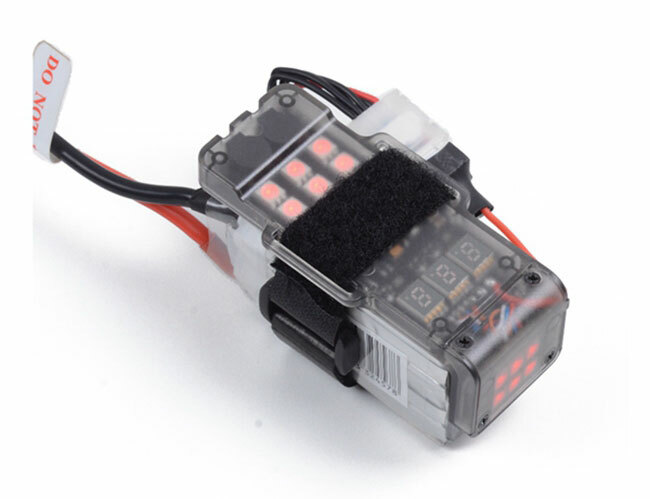 Very easy to use, just plug it into your Lipo battery balance lead. Compatible with 4S out of the box, but can also work with 3S if you re-solder one wire. 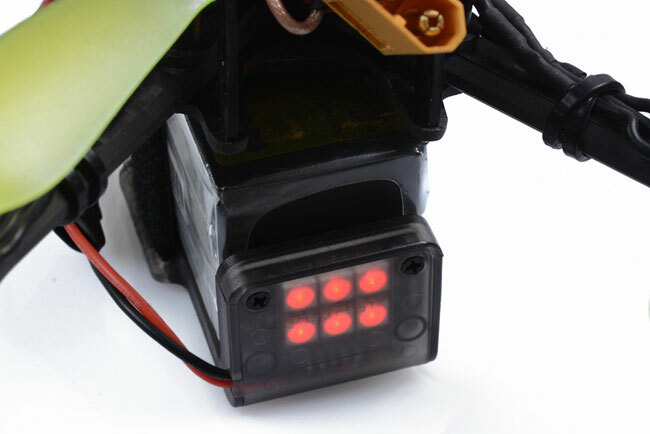 Digital display shows battery voltage and cell voltage, a great way to quickly check your batteries at the field. Integrated buzzers are loud and function as both a low voltage alarm and also a lost model alarm. 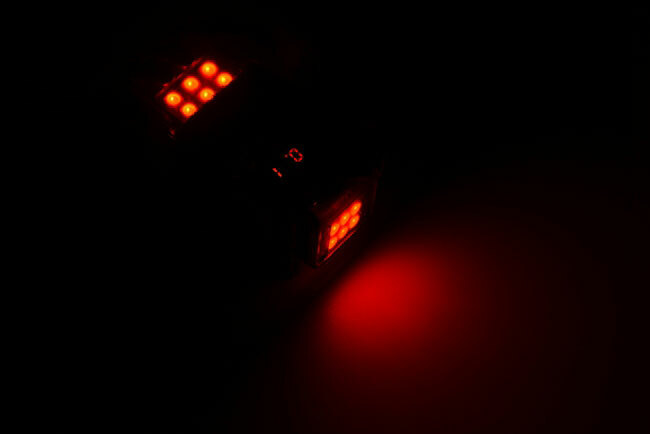 The lost model alarm triggers after 6 minutes, so if your quadcopter flies for longer it just gets annoying. The LED’s are not that visible in direct sunlight. At 26g, this board is not particularly heavy but its also not particularly light. 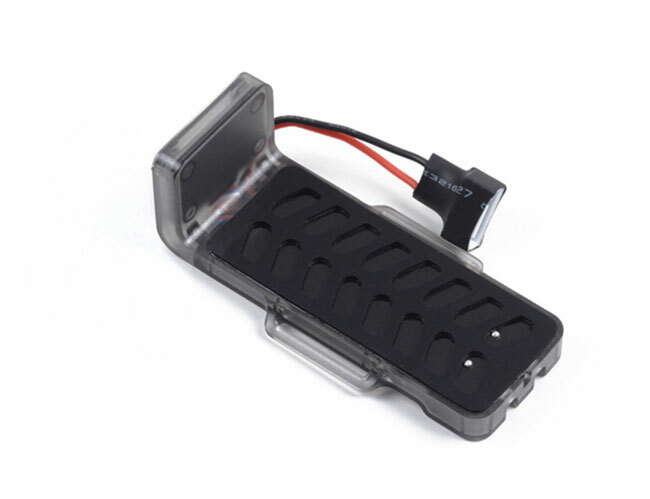 Works with 4S lipo out of the box, but if you want to use with 3S you need to re-solder a wire on the balance connector. It would have been nicer if there was a switch. Quite expensive, it’s slightly cheaper than a 1300mAh battery. To be honest, we were not particularity blown away by this product. It’s more of a nice idea, and if you are given one, you would probably use it for a few flights and then not bother anymore. 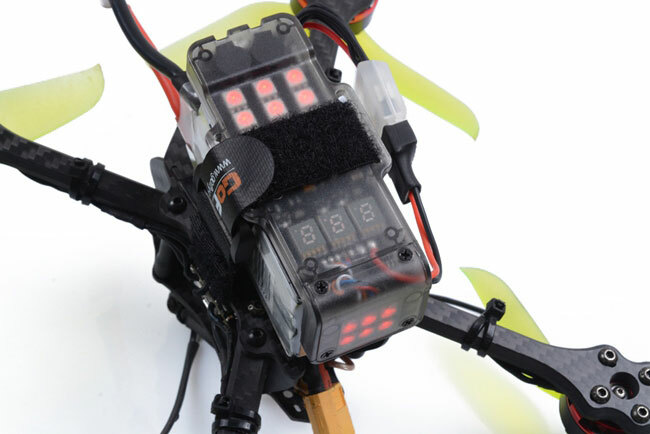 It was only used to quickly check a batteries voltage when trying to find a full pack to go fly. Furthermore, it does not add that much in terms of protection and the other features are also not particularly useful either. 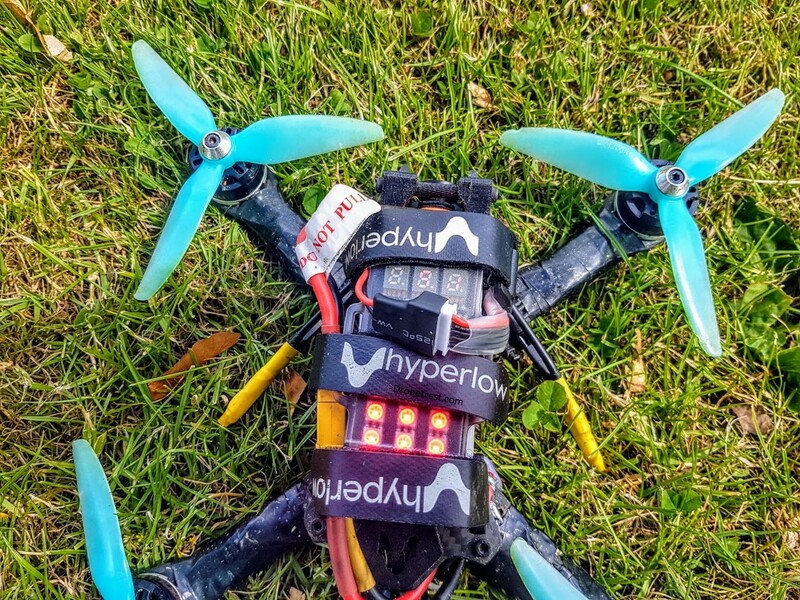 Any half decent flight controller already includes some sort of battery monitoring. 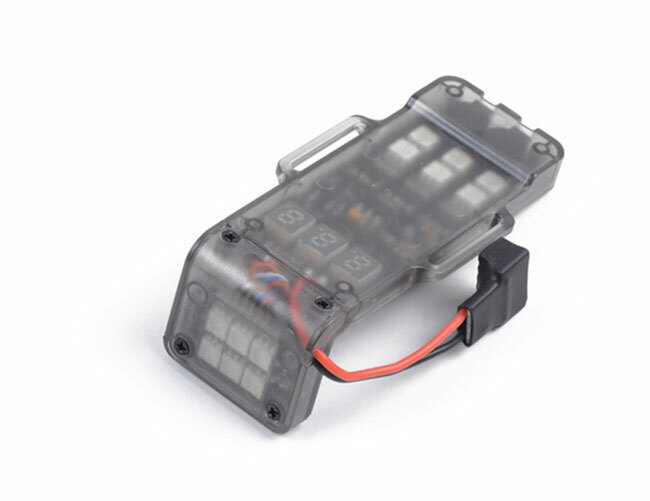 The lost model alarm has one advantage over the usual ones, as the Gofly one it is unlikely to detach from your battery, so you will at least be able to find your battery. 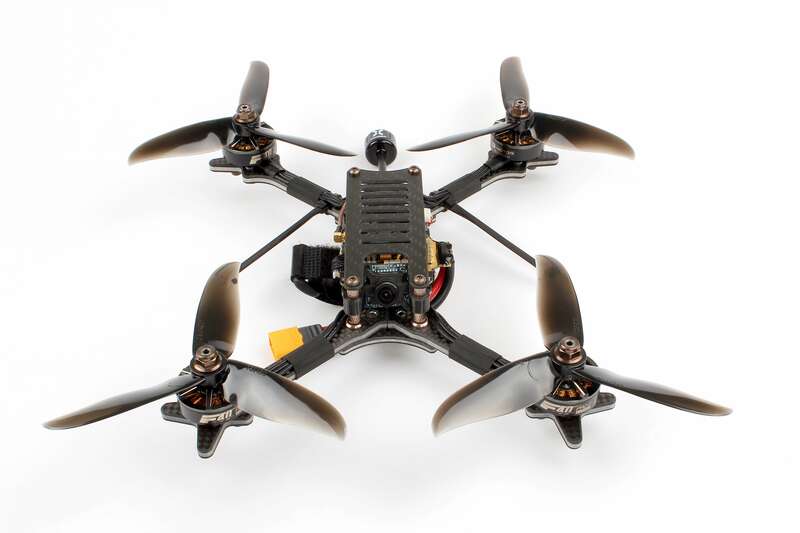 And this could help lead you to the rest of your quadcopter. 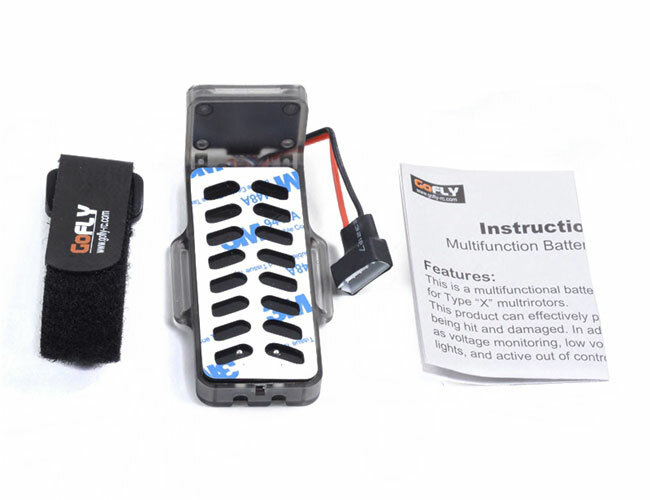 But ultimately for lost model alarms, you would be better off going for something like the ViFly Finder on your quadcopter. And the last feature of having some LED’s is a nice touch, but they are not bright enough to see on a sunny day, so they might as well not be there. Sadly the only real use for this battery protector board is to be used as a backup battery checker when we go out flying. Despite my review, if this idea does tickle your fancy, here are a few places you can go buy one. Thanks for reading and I hope you found this article helpful. As usual, if you have any questions or comments be sure you join our friendly forums linked below. 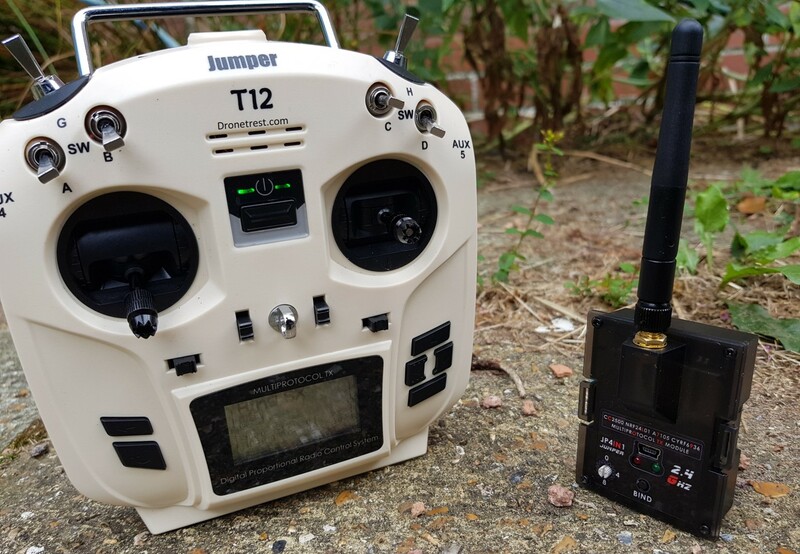 Jumper T12 Radio Review: OpenTX, but small... and cream coloured?